Recently I had the pleasure of attending the interPLAY Film Festival hosted by YMMPodcast and Events Wood Buffalo. I attended two evenings of screenings, but due to previous commitments missed one night. The final night, when the winners were announced, the overall winner of best film happened to be one that was shown on the night I was absent. When they showed a clip of the film, and spoke to the film-makers about it, I was intrigued. One of the comments made was that the film was intended to show Fort McMurray as it truly is - not an "all good" or "all bad" portrayal, but rather a film that walked the middle line and showed what this community is really like. People, it's a lovely little film. It's about residents of our city that have come from all over, and who have begun to call this their home. This collective of experiences is what our community is about - not one person's viewpoint but rather those of all of us. This film might be a student venture but it is impressive in quality, scope, and content. It takes the thoughts and experiences of residents who have come from so many different places (mentally and physically) and blends them together into a lovely depiction of our city. There is good, there is bad, there is change, and there is growth. This is our community, Fort Mac. This is who we truly are. To those who made this film - thank you for allowing others in this city to tell their own story. To me this is how we get the message about who we are out into the world - we begin to tell our own stories, through our podcasts and our blogs and our tweets - and our films. Well, people, this isn't a blog post specific to Fort Mac, but recently I've heard some disturbing reports about a pyramid scheme that is making the rounds in our city, and I thought it deserved some blog space. These things tend to operate under a cloud of secrecy, which is how they flourish, so I thought I'd shine a light in the dark corners and see what skitters out. What I've heard is that there is a letter circulating that directs you to take $5000 to someone's house, drop it off, and then go home and wait for 8 people to drop off $5000 each to you. It's a bit more detailed than that, of course, and slightly more complicated, but the gist is that there is an easy profit of $35,000 to be made if you just invest that initial $5000. There's a few problems with pyramid schemes, people - the very first being that these schemes are illegal. 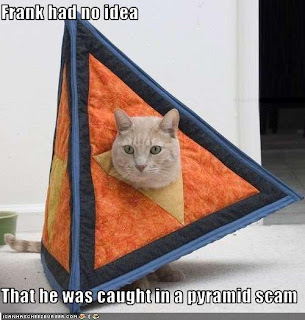 And yes - they do prosecute people for pyramid scheme involvement. 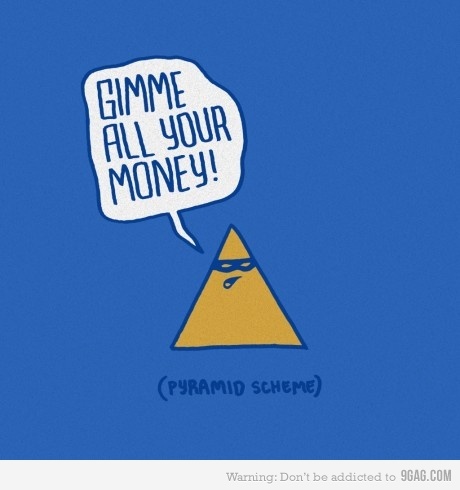 So, pyramid schemes, or ponzi schemes, are illegal in Canada. You might wonder why something that you choose to do with your cash is illegal, as it is your money. 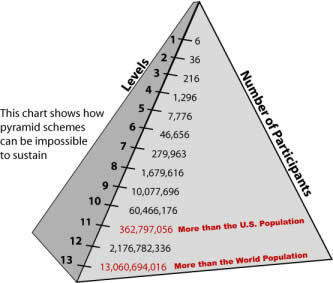 The laws regulating such schemes are designed to protect everyone, as the problem with pyramid schemes is that they collapse, and if you are at the bottom of the pyramid it all comes down on you. I could go into the mathematics of why such schemes are unsustainable, and you would likely counter with stories of people who have successfully made money on them. The point is that if you are one of the first into the scheme (or the originator) then you might make money - but the further down the pyramid you are the less likely you are to make money, and the potential loss of that initial investment is very real. I am always amazed at people who seem to have never heard the adage "if it seems too good to be true it probably is". There is a definite allure to the easy money to be made in pyramid schemes, but there are also consequences. You could lose that investment. You could be prosecuted and lose a whole lot more than that initial $5000. It might seem like "easy money" but I think there's a tremendous degree of stress involved with sitting around and waiting to see who shows up on your doorstep to drop off cash (and what if they turn out to be more interested in robbing your house than dropping off cash, anyhow?). I also think there's a lot of stress involved with hoping no one finds out you've been engaging in such a scheme so you can avoid prosecution. Okay, I get that there is a lot of joy in having a whole bunch of cash in your hand - but good luck trying to deposit that amount into your bank without raising suspicion and some questions (and I don't know about you but I don't want $40,000 in cash hidden in my mattress, either). So, people, if this scheme happens to target you I suggest taking the letter, crumpling it up, and dumping it into the closest trash can. There is no pot of gold, there is no easy money, and there is no way that a pyramid scheme can continue indefinitely. It will collapse - guaranteed - and you don't want to be the one at the bottom. You have a lot to lose, and very little to gain. Don't get caught up in this kind of game, Fort Mac. You're smarter than that, right? August 31 update : The Fort McMurray RCMP have now issued a warning about pyramid schemes. Well, I love how people get up in other peoples business. If a person wants to do this, then let them. If you dont want to... then dont.... simple as that. but then there are the nosey people who gripe about everything and make it their business. Its a matter of choice... thought we lived in a free country... which should mean that we could do what we would like... this being a choice that we choose (or NOT to) do... just My thoughts. Ive done my research and made my choice. As im sure everyone in that scheme did as well. My response is this : I did not write this post to get into anyone's business or as a result of being nosy. My concern is that there are people who do not realize these schemes are illegal, and that these schemes are fundamentally unsustainable. In Canada we have "freedoms", but we are not entirely free to do whatever we choose at all times (and if anyone thinks differently then they've obviously never gotten a parking ticket). There are laws in place to protect us and others. One of the freedoms in this country is the ability to express our thoughts, anonymous, which I have just allowed you to do - and that also means I am allowed to share my thoughts (and, in this case, the facts about pyramid schemes), which I have done. If my post educated one person about the perils of pyramid schemes then I consider it a job well done, and I have no regrets. Reclamation is a word you hear a great deal in Fort McMurray. It's a big thing in the oilsands industry - reclamation of tailings ponds, and of mined land. It's an important topic, no doubt - but there is another kind of reclamation going on in Fort Mac, and it's the kind that interests me even more. It's the reclamation of our community, and it's going very well, people. 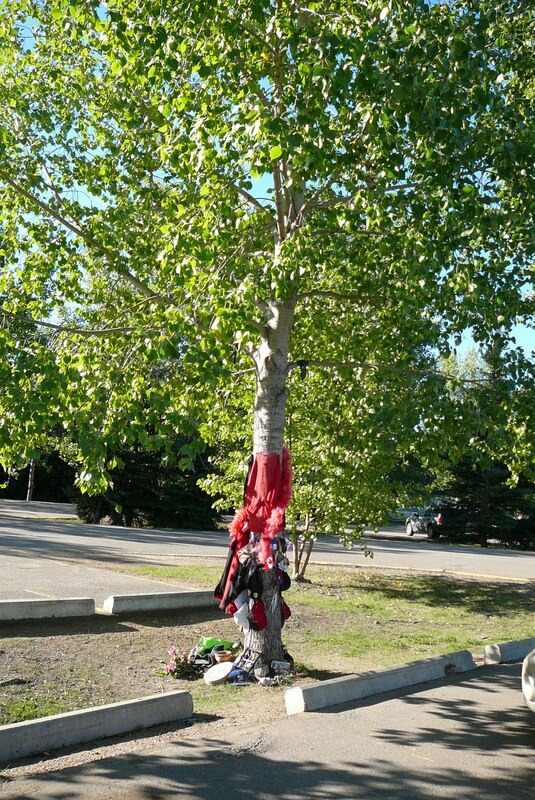 You can find a lot of evidence of community reclamation, but one of the most visible recent attempts at reclamation is the Casselman Lush Memorial Skate Park at Borealis Park in downtown Fort Mac. The skate park has been a fixture of this area for some time, and over the years it had taken on a shady side. Friends who reside in the long-term Nomad Inn residence have told me of witnessing unsavoury events in that area (usually involving drug transactions). It had also just become a bit dispirited - a bit run down, a bit sad in the aesthetic sense, and speckled with graffiti. 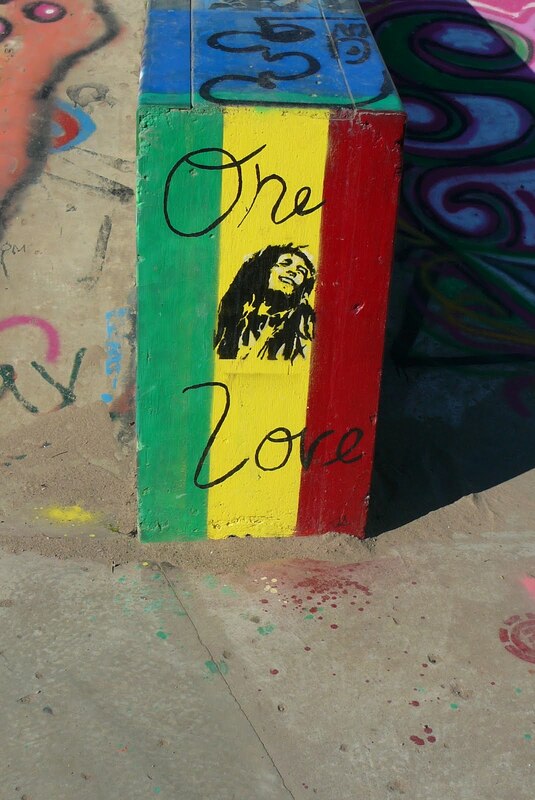 So, Fort McMurray Parks Patrol hosted an event called "Tagapalooza" at the end of July, and the goal was to refurbish the skate park with some new art. I went to check it out last week, and was very impressed with both the idea and the realization of it. The concept behind the re-furbishing was "Imagine", and local residents (artists, children, and just those with an interest) were invited to visit the skate park and paint their vision onto the concrete. The paintings have many different themes, and they coalesce into an astonishing view. Now, being a writer means that while I love looking at art words are what truly inspire me, and thus some of the quotes painted into the concrete caught my attention. I hope those who use the skate park look at these and think about the meaning, because these are true words of wisdom, people. Look, I know that a new paint job doesn't mean that all problems disappear and that suddenly the skate park will become a place where we all gather at twilight to sing "Kumbaya". However, it is a clear message. When we reclaim a place in this way, and put our mark on it, we say "this is ours". We say "this is our community, and this is a part of it". We say "we care". In light of the murders in the park at the beginning of the summer I think this reclamation is particularly timely. We will take a place that has seen darkness and shine a light on it. We will add colour and imagination and spirit. We will take a stand. This kind of reclamation doesn't just give me hope, people - it gives us all hope. This is our community, and it belongs to all of us. We will reclaim it, piece by piece, playground by playground, street by street, and skate park by skate park. So, What Are You Doing For Summer's End? Well, people, as hard as it is to believe the end of summer in Fort Mac is rapidly approaching. I can scarcely believe it, either, but next week the kids head back to school, which is a sure sign of fall in my house. There is one last kick at the can, though, and one last chance to embrace summer while saying farewell to it until next year - and that is summersEND. Once upon a time the city hosted an event called "The Blueberry Festival", but in recent years the name has changed and so has the event. This year the festival being held over the Labour Day weekend has taken on a definite country flavour, and we will see some very big name acts (Reba, anyone?!?) hit our city. 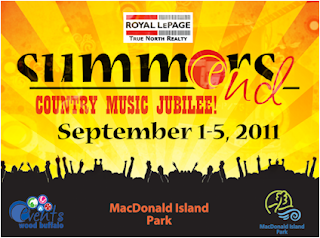 The name has changed a bit, too, and this year we see "summersEND:The Country Music Jubilee" on posters. Now, there will still be the old favourites - the midway rides, the carnival food, and all the rest, but there is no doubt the big draw will be the concerts. I'm super excited, too, but not because I am attending the concerts. Rather, I am excited because I have volunteered to work with Events Wood Buffalo backstage in order to see what things are like from that side of the fence. I've been an attendee and guest at so many of the events they organize (interPLAY, winterPLAY, etc) that it felt like time to see what goes into hosting them, too. I suspect it's much like a duck on water - calm on the surface, and frantic paddling down below. I cannot wait to be a part of the frantic paddling. There are still tickets available to the concerts through MacDonald Island, and if you don't have yours yet I strongly advise doing it now. I suspect these will be concerts that will be talked about for a long time to come, and this is an opportunity to both see some great performing artists and show them what our community is about, too. There is also still a need for volunteers, people. Events like this don't run themselves, and what better way to show the world our community spirit and commitment than to volunteer at such events? Attending concerts and events like summersEND is great - but being involved in them is even better, I think. You get a chance to meet other volunteers and people in our community, you get to see what it takes to host these events, and there is an incredible sense of pride when it is all over and the crowds go home, taking with them memories and joy. So, I don't know where YOU will be September 1-5, people, but you will know where to find me. I will be at MacDonald Island savouring every last bit of our all-too-brief summer. I hope to see you there, Fort Mac - because summer 2011 is rapidly approaching the curtain call, and you don't want to miss it. It's going to be truly spectacular. I drove downtown this morning with one thing on my mind. It had suddenly occurred to me that it's been almost two months since our community saw a horrific murder, and I realized that while my summer had marched on to it's usual beat the summer was quite likely very different for many in this city. They had started the summer with a terrible loss, and this loss must still be so very fresh to them. 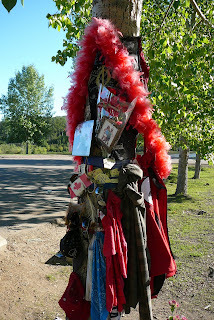 I drove down once again to Borealis Park, that beautiful little park beside the river in downtown Fort Mac. It was so early in the morning that all I heard was the call of birds and the hum of lawnmowers trimming the grass in the park. I pulled up in front of the impromptu memorial erected in honour of the twin brothers murdered earlier this summer, and parked. I got out of my car and saw that the memorial has grown since I was here last, just shortly after the tragic events of late June. 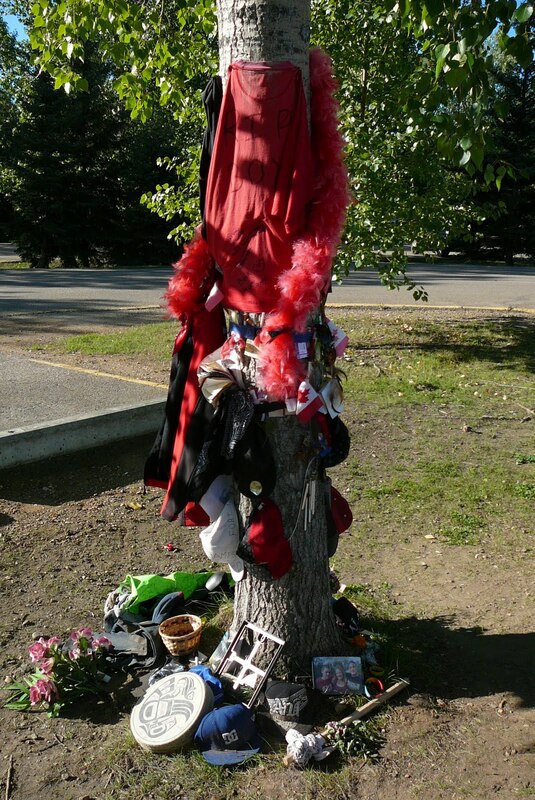 The memorial has photos and notes, and items left by friends and family that would have meaning for the brothers - cigarettes, a bus pass, hats, and T-shirts. I spent a few moments just studying those items and what it said about these boys, and about their friends and family. It told me the boys were like so many 17-year old boys in our world, caught in a netherworld between boy and man. It told me they were still children and yet on the verge of adulthood. It told me that they were loved and are missed, people. I've heard the rumours about their demise, and how it happened. I still say the cause is immaterial, and I leave it up to the RCMP and courts to sort all that out. I don't really care about the hows or whys - I care instead about two boys who had their future stolen, about a family that will grieve forever over the premature loss of two young young men, and about a group of young friends that have seen tragedy enter their lives far too soon. The investigation is continuing. There is not much news on there, and I don't expect there will be until and unless the RCMP make arrests. I have no doubt they are doing their best on that end, but I imagine it must be terribly frustrating for the family and friends of these boys. I am on the periphery and even I am frustrated as I suspect we all wish to see justice. More than frustration, though, I continue to feel deep sorrow over the loss of two boys who would one day have been men, and over a community that witnessed the fragility of life played out in a beautiful park on a Sunday evening at the beginning of summer. As summer ends and turns to fall, and then to winter, the memorial will be covered in snow and many of the photos and notes will fade, and perhaps even disappear. Perhaps some people in this community will forget that Sunday night and the horror of the following Monday morning. That forgetfulness is a luxury the family and friends of the boys will never know. They will never forget. And in many ways our community never will, either. I admit that I am one of those people who uses Facebook a fair bit. I have family and friends flung all over the world, and Facebook is the medium that allows me to keep in touch with them on a far more regular basis than emails or phone calls ever could. I don't play games on Facebook, though, and I belong to very few groups. However, a group sprang up recently that caught my attention in a big way. It seems I'm not alone, either, as in less than a month this group has attracted close to 700 members, and grows daily. The group? It's called "You know you're from Fort McMurray if you remember..." - and people, what a joy ride it is. The group was started by someone I consider a friend, local chef Ken Bowie (I met Ken when I wrote about him, as this seems to be the way so many of my new friends are entering my life these days). Ken started this Facebook group after seeing a similar one from his home town. That's right, Fort McMurray isn't where Ken grew up, but he considers it home, and this group was his attempt to find out more about the city. This is an effort that has paid off in a tremendous way, and if you're a member of the page I don't need to tell you why. In case you are not one of the 700 like me, though, let me tell you why I think this group is so amazing. Cities are like a living entity. They change and grow as years go on, and, in some cases, like the town in which my family lived when I was born, they die out and become nothing more than a couple of houses, a highway sign, and a tiny blip on the map. 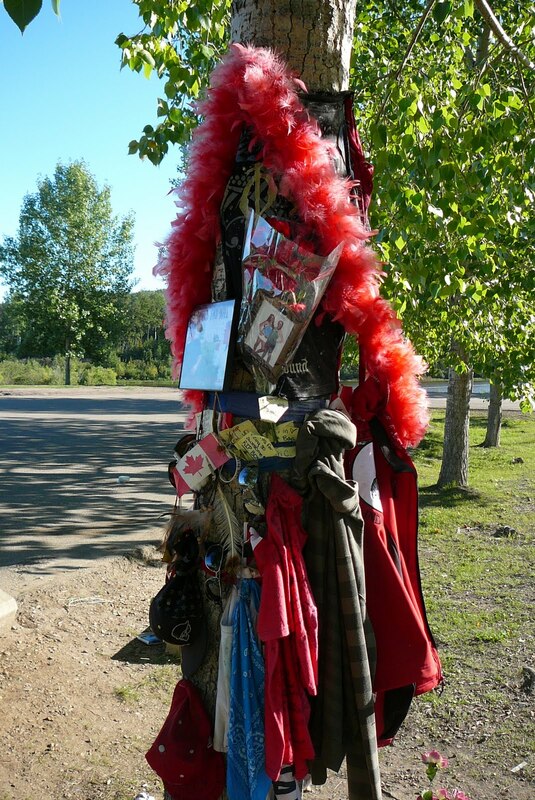 In this way Fort Mac is like every other city on the planet and yet is also entirely unique. It has undergone changes on a massive scale, changes that in other places would take decades and here may take mere months. That's why this Facebook group is so amazing. 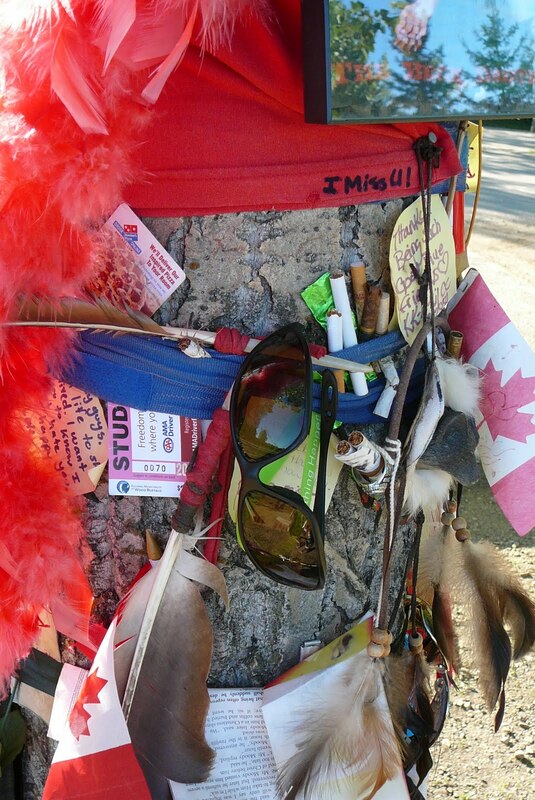 It has brought together people from all over the world who have called Fort McMurray home at some point - some who grew up here, some who moved here, and some who came here and have never left. Some still reside here, and some moved away long ago. Some saw this city as it was 50 years ago, and I can't even quite imagine the changes they've seen (even in the decade I've been here the changes have been astonishing). Some are relative newcomers, but anxious to learn about this city, it's history, and the people in it. So many of the stories told on this page are ones I've never heard, people. There are horrific stories, like an axe murder I never knew happened, and some are funny (like typical high school "remember when we did this?" stories). People are coming to this group to remember, to share, and even to find old friends from days long gone. I've seen so many discussions where things like "hey, are you so-and-so's brother?!?" were posted, and the happiness when the answer was "yes". It's seeing a community making connections like mad - and you know I'm all about community, people. Now, there are moments in the group when people lament all the changes in Fort Mac, too. They talk about how it has become so large, so impersonal, so many strangers where once there were only friends. That's so normal, though, as we always think of these places in the way we remember them and wistfully wish they had not changed - because change may be exciting but it is so hard to accept, too. I look at the city I grew up in and sometimes bemoan the changes there - not because it is so much worse than it was, but only because it is different, and in my mind's eye it is transfixed as it was when I was there at age 17. In terms of this Facebook group I am pretty new to Fort Mac. I've only been here almost a decade, and my memories don't stretch back to the days when Franklin Avenue was the only paved street in town, and people could still take the train here. I wasn't here when there was only one liquor store, and when the place where my house now stands was forest. I am a Fort Mac newbie, and that's what is also so lovely about this group. Often when I introduce myself and say I have been here ten years people will laugh and say I must practically consider myself a "local" - but this group has shown me that in the length and breadth of time in this city I am quite truly a newcomer. Well, well, well. Considering some recent comments made in a city to the south one might think that our little community of Fort McMurray is a beehive of criminal activity that spills outside our city limits. Thus I read with interest, people, this news release regarding Fort McMurray crime statistics. What does that little news release indicate? Well, it means that despite the continuing growth of our city our crime rate is dropping. You can attribute that to many things - a stronger police presence, a healthier sense of community, and perhaps even just a levelling out of the "wild west" attitude that once seemed to permeate this city. Urbanization is alive and well in our city, and with it comes citizens who take a more pro-active role in protecting our community. What is particularly interesting to me is that violent crime has dropped. Considering some of those recent allegations made in Edmonton one would think that we should be seeing increased violent crime here, too, since we are truly the "home" of the northern and dry camp workers. And yet those statistics have decreased. People, I love it when statistics fly in the face of what is believed to be true. I've had people who have never been to this city tell me about crime in my city, as if they somehow knew what was going on because they've seen a 30-second TV report on some isolated crime here. I'm seriously thinking about printing out this news release so that the next time I am cornered by a distant relative intent on lecturing me on the "evils" of my home I can just hand it to them and walk away. Frankly I'm proud of all of us, from our mayor and city council to our RCMP detachment to the average citizen who watches out for their neighbourhood and the people in it. 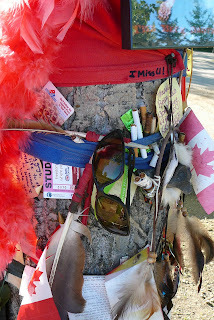 We want the world to know that the Regional Municipality of Wood Buffalo has long been maligned and abused by others while we ourselves always knew what this community is really all about. We are done with drive-by journalists telling the world (and us) who we are and what our community is like. We are starting to tell our own story - and now we have some lovely little numbers to back up our tale. I'm posting that little link above on my Facebook profile, people. It's worth sharing with the world, don't you think? Anyone who reads this blog regularly knows I am a person who appreciates people of vision and passion. There is a third element that intrigues me, though, and that is the ability to combine those two qualities with a third - drive. There is a person in our community who I believe embodies these three qualities, and who has combined them in a way that has benefitted Fort McMurray in a tremendous way - and that is Claude Giroux, Executive Director of Events Wood Buffalo. I suppose Claude first appeared on my personal radar shortly after Events Wood Buffalo started operation. Events Wood Buffalo was formed specifically to organize and plan community events - but under Claude's leadership it has done so much more, people. It has revitalized the entertainment scene in this city. It has started a renaissance in our arts and culture community. It has turned us into a city of people who say "why can't we?" instead of "we can't". Now, I spoke to Claude recently and he is a very modest individual when it comes to his contribution to this community. He gives great credit to the support he has received from Mayor Blake and city council, and to the funding from all levels of government, as well as corporate sponsors. He also gives great credit to his staff at EWB, and I fully agree that they are doing a remarkable job. I know, however, that every great team has one thing in common - a dynamic leader. I think Claude is that leader. He has a way of infusing his enthusiasm, belief, and drive into those around him, and I don't think EWB would have achieved what they have without his direction. So, why am I so impressed with what Claude has done? I don't think without Claude that we would have ever seen KISS in our little city. I don't think we would have seen events like winterPLAY emerge, or the growth of events like interPLAY. Now, don't get me wrong - I think people in this community have done a remarkable job with these sorts of events over the years. After a time, though, I think a fresh pair of eyes can see possibilities that we ourselves may not see. We may become a bit mired in how "things are" and not see what things can become. Sometimes we just need someone from outside to come in and shake things up a bit. And sometimes that shake up can have benefits beyond what we expect. Claude says that operating EWB has been a bit like "running down a hill". He says there has been great infrastructure support , and great support from all those people who believe in EWB and Fort McMurray. He has been supported by an ever-growing group of volunteers. He says that this all happened at a very appropriate time in the development of the community, and that there is "no place on earth that provides this kind of support", and I fully believe that to be true. Of course the hard part of all this is that soon Claude will leave EWB to take on a new position in another community. There are challenges ahead for whomever takes over as Executive Director, too. EWB is a still a fledgling group, and attention will need to be paid to fiscal stabilization, and just stabilizing the organization in general. There is also great opportunity, too, as Claude pointed out to me. The arts and culture scene here is burgeoning, and EWB could play a very important role in this development. This is a scene that needs support and fostering, and EWB is in a perfect place to help provide this assistance. So many of the events they organize, like interPLAY, are in essence arts and culture festivals, and the growth of these events can only help that aspect of our community grow. Speaking to Claude is absolutely inspiring, people. As Claude says we can put Fort McMurray on the map for so much more than the oil sands. Events Wood Buffalo, under Claude's leadership, has taken enormous steps in that direction. When we finished speaking Claude said to me that what he does is "way better than a real job". All I can say is Claude's presence has benefitted our community in astonishing ways, and he has my complete respect. "Real job" or not, Claude has all the things that make for success - passion, vision, and drive - and his success has also been ours. We have been so very fortunate to have him here in our city, people - and he will be missed, but I wish him the very best in the future. There is one more major event that will be held while Claude is still in place at the head of EWB, and that is SummersEnd - I hope to see you there people. If you happen to see Claude, maybe stop and say thank you from all of us, okay? I think he deserves that, don't you? See ya there, Fort Mac! There are decisions, there are bad decisions, and then there are decisions so horrendous that they careen right past the corner of "bad" and off the cliff of "insanely terrible". The recent decision from Alberta Health Services, in choosing to deny to reimburse a Fort McMurray man's out-of-country medical treatment costs, is one of those last kind, people. This link is the story I read, and it broke my heart. I don't know Shane Wambolt personally, but I have been through serious illnesses with two family members, and I know the devastation very well. The terror, the pain, the anguish - I know all these feelings. In my case the only consolation was that the individuals were elderly (small consolation, but some). In Shane's case this is not true - this is a 26-year old man. There may be some dissension as to whether or not Shane was actually dying, but this seems utterly immaterial. His quality of life was clearly diminishing, and his ability to function was dying. His condition was worsening, and the typical bureaucratic delays were preventing him from getting the approval for the surgery he needed. So, his family stepped in and took on the costs. Would anyone do any different? Frankly, people, I would sell my soul to the devil to save a family member - and I bet most of you would do the same. I note that the reviewers who denied Shane's claim for reimbursement of the surgical treatment he received in the USA are experts, meaning clinicians and medical experts. Now, I have tremendous respect for medical experts and clinicians - but sometimes they aren't the best people to make these kinds of decisions. Medical experts and clinicians are by necessity a bit removed from the emotional aspect of their cases, and this professional distance can occasionally mean they fail to see the emotional side entirely. This appears to be what has happened here - as regardless of the rules and regulations governing such decisions there is a clear need for compassion. The main point is that before the surgery Shane was in dire straights. His family was terrified that this 26-year old man would die before he could obtain treatment in Canada, if any treatment at all was available. They saw their family member slowly dying before them, and they felt helpless and frightened. They found someone who offered hope, and they leapt at the chance - and it paid off. Shane is now slowly recovering, and I am profoundly grateful for that alone. I would be even more grateful, though, if AHS exercised some humanity and compassion and reimbursed Shane and his family. You know what, people? My tax dollars have gone to worse things, and I'd frankly be very happy to see some of it used in this way instead. As I said previously I have been there, and I have experienced this first hand. What keeps you going during that time is when people around you extend their hands and hearts with hope and help and compassion. Right now it's time for AHS to start extending those hands, and dig deep. It's simply the humane, compassionate, and right thing to do. I await anxiously to see if they can show that compassion, not just for Shane Wambolt and his family, but for all of us, too. There are some stories that just won't die, people, and the story with Edmonton city councillor Kim Krushell and Edmonton spokesman Jeff Angel just seems to be one of those. I've been following developments on this with great interest - and, well, I admit that I have pretty much thrown myself into it, too. Why? Because I think statements like those attributed to these individuals should not go unchallenged, and I decided that as a blogger I was in the perfect place to do so. So, here's the latest developments. Edmonton's high murder rate is going to be on the agenda when city council resumes meetings in the fall, Coun. Kim Krushell said Wednesday. Council will meet with new police chief Rod Knecht who was appointed in April to discuss options for dealing with murders. So far this year, 34 people have been killed. When Knecht was appointed, he said "I see a tremendous opportunity to be a part of making Edmonton the most safe and vibrant city in Canada." Krushell said council is frustrated, considering that the city spends more on policing than any other item, but said putting more officers on the street isn't the solution. "We have cops out there that are very visible, we have peace officers, we've also beefed up transit security so when you add all these things together, we're expecting better results than we're seeing this year." Krushell suggested that the large number of workers from the north who come to Edmonton to party may be a problem. A better holding facility would give the partiers a safe place to sleep overnight, she said. Alberta’s boom economy is partly to blame for Edmonton’s gruesome murder rate this year, said the chief spokesman for the capital’s city hall that’s also smarting from some of the media coverage. The spokesman — recently-transplanted Calgarian Jeff Angel — said Edmonton’s bearing the brunt of a petroleum-driven workforce that blows off steam, leading to violence. “Edmonton’s the hub of the North...these workers leave their camps and what’s the first big city they come to?” said Angel. On Sunday, Edmonton police confirmed the city’s 33rd homicide of the year — a man stabbed while sleeping on a park bench. It was the fourth killing in a week, while in seven months, Calgary’s only recorded three homicides. During a visit to his hometown of Calgary, Angel said a cover illustration on the homicides story in Saturday’s Edmonton and Calgary Suns sporting the title “Deadmonton” rankled city officials in the capital. “A front page like that stings...there’s huge civic pride,” he said, while acknowledging the homicide numbers are a story media can’t ignore. Many Edmontonians, he said, have considerable respect for Calgary, adding he hopes that sentiment can be returned. Angel said Edmonton police are taking close note of their Calgary counterparts’ strategy targeting gangs that been credited with reducing homicide numbers. And he said city and police leaders are taking concerted action on the issue, with 12 officers added to the beat and a series of meetings planned for this week. “There’s a lot of work going on right now with both the city and Edmonton Police Service,” he said. Now, just for the record when I read that article from the Calgary Sun I was incensed. As I've said before I don't get angry often but when I do it's an anger of the incendiary kind, and even though it was late in the evening I wrote an email to send to Mr. Angel. I then tweeted on Twitter to ask if anyone knew how I might reach Mr. Angel, and had a response within minutes giving me his email - and that of Mayor Mandel, and Mr. Angel's direct boss, too (ah, the power of social media!). I fired off the email and then sat back to wait to see if I received a reply, and people, I did - from Jeff Angel himself. 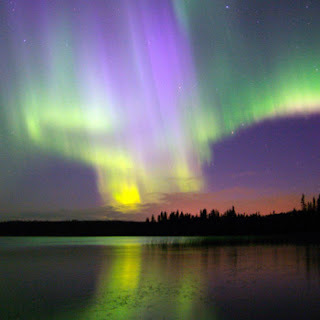 I am a longtime Fort McMurray resident and freelance writer. My current project is penning a blog about life in our community, and I recently came across an article in the Calgary Sun containing comments from you as the City of Edmonton spokesperson. 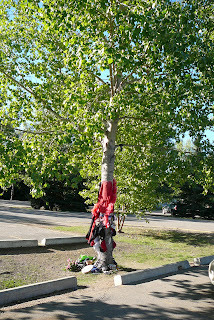 I would very much like to speak to you regarding these comments, the statistics that led you to these conclusions, and whether or not you feel these comments are conducive to the positive business and community relationship that has been established between the city of Edmonton and the Regional Municipality of Wood Buffalo. I found your allegations that crime in Edmonton is being fuelled by workers from the oil industry deeply troubling, particularly in relation to the murder rates in Edmonton this year. I also noted your comments regarding the respect Edmonton has for Calgary, but must wonder what sort of respect is being expressed for those communities to the north of Edmonton where much of that oil industry exists. I would remind you that these northern communities, like mine, are also helping to drive Edmonton's economy with our tourism, entertainment, and retail dollars, and wonder if you believe your comments about "camp workers" might just affect our willingness and interest in spending those dollars in your city. I assume you have statistics showing the involvement of oil industry workers in your crime rate, especially in the murder rate as that appears to be the implication of the headline of the article: "Boom workers fuelling Edmonton homicides: city spokesman". I would also point out that in the past year many of the individuals charged in drug trafficking in RMWB gave Edmonton addresses as their home address, and yet we are not placing the blame for our drug issues on opportunistic Edmontonians preying on our populace. Mr. Angel, you have no doubt gleaned from this e-mail that I am deeply troubled by your comments, and that I am also deeply disappointed by an official city spokesperson making such comments. I would welcome the opportunity to discuss this with you, however, and can be reached through this email address. As I said above I did receive a reply, and while I appreciate the reply I am disappointed to report that there was no hint of apology or retraction to be found. Mr. Angel assured me that he did not single out the RMWB or any specific northern community, although I find this distinction ridiculous as when one refers to "dry camp workers" in Alberta we all know who and where they are referring to. Trying to hide behind the vagueness of the wording doesn't help as I certainly felt that our community was singled out with his comments, and many others felt the same way. He also noted that he did not intend to disparage the RMWB or our community, and yet I still feel that was the fundamental outcome of his comments to the newspaper reporter. Not only did Mr. Angel's email not include any hint of apology or retraction he actually again commented that a "young transient population combined with drug and alcohol use is just one of the many contributing factors to violence". I wonder what "young transient population" he is referring to? I would assume he again includes those dry camp workers who treat Edmonton as "Disneyland" in that population, and once again I resent this implication without some statistical evidence to back up this claim. Mr. Angel's major contention is that during his interview with the Calgary Sun he indicated that there are several factors contributing to Edmonton's homicide rate (a contention with which I agree) - but he did not indicate to me that he was misquoted, misunderstood, or taken out of context. What does this mean? This means that while he spoke of other things, and while the Sun decided to focus on specific comments regarding dry camp workers (and add a sensationalized headline), it appears that he did indeed make the comments that are attributed to him in the article. This means that it appears he did indeed imply that "dry camp workers" are linked to violence, and thus also to Edmonton's homicide rate. Look, I don't need to tell people what to think or how. I trust the intelligence of the people in this community, and I suspect that they will look at this and realize that we (or "northern workers", or "dry camp workers") are in essence somehow being implicated in Edmonton's horrendous homicide rate. I don't know how these "dry camp/northern worker" comments came about since there is no mention of them in the Edmonton Police Services' new strategy to combat crime in Edmonton. I do know one thing, however - I deeply resent these comments. This is my community being talked about, and while once upon a time such allegations may have gone unchallenged, those days are over. I was pleased in the last few days to see the incredible interest the community in the RMWB has had in this issue, and how it reacted with shock and dismay at these allegations. We have become a proud community, and no one will ever again be able to point a finger at us and not be called to account for doing so. At this point I guess I should disclose that I personally come from a very long line of obstinate individuals. As an example I offer my father after his retirement. The city in which my parents lived determined that a water main had broken on their street, and proceeded to spend weeks digging up the mains. They not only dug up one half of the street but also my father's meticulously manicured lawn, sidewalk, and driveway. Unfortunately after digging for some time they realized the maps had apparently been read incorrectly and they had dug up the wrong side of the street. My father was outraged, and began a one-man campaign against such idiocy at city hall. He began to appear there on a weekly basis, not to complain but to ensure they realized the ridiculous nature of such a mistake and to remind them of their duty to not repeat it. I am sure that when the receptionists saw him enter the building they dove under their desks, as they no doubt realized that the man who had at first appeared to be a "sweet old guy" was in reality a doggedly persistent individual with a keen interest in justice, an intolerance for fools of any kind - and all the time in the world to make his point. People, I am my father's daughter in every sense. So, where to go from here? I am not sure at this point. I think I have made my point, and I have taken steps to ensure that those who would make such comments know that they will be challenged. In the end, though, I know that what matters most to me is the residents of this community have taken a stand against these comments and allegations, and they have demanded to be heard. They have said we have had enough. We will not simply listen to such accusations without demanding evidence, and we will no longer be told by others outside this community "who we are". Take notice, world - quite frankly, we're not gonna take it anymore. And I am so very, very proud of all you for that, Fort Mac. Well, people, last night I stepped outside my comfort zone a bit and attended the Progressive Conservative Leadership Forum right here in good ol' Fort Mac. Why is this outside of my zone? Well, two reasons, really. The first is that I like politics, but I'm not what I would call "politically astute". I have my opinions, but if you want someone who can talk about the tiny details of specific issues for hours then I am NOT your girl. I tend to go more with my feelings about politicians as individuals, and while their platforms interest me I am more intrigued by their character. The second reason I was out of my zone? 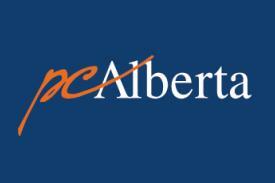 I'm not a member of the Alberta PC party. Yes, that's right. Ideologically I lean left (I grew up in Saskatchewan and spent my formative adult years in Toronto, so sue me, okay?). However, I'm also not dumb, and I know which way the political wind blows in this province. One of the candidates currently competing for leadership of the PC party will be our premier, at least for a time, and will very likely be leading this province into the future for some time to come (unless things change pretty drastically, and drastic change doesn't seem the Albertan political style). So, there you have my full disclosure. Despite all that I found myself at the Quality Inn last night with a whole lot of other people to hear the candidates. I was very impressed with the turnout from Fort McMurray, people. It seems there are a lot of people here who are quite involved in the political process, and it was terrific to see them there. I was especially delighted when a family came and sat next to me, a mom and dad with their teen and pre-teen kids in tow. Seeing youth interested in democracy thrills me, regardless of political orientation, because our future lies with these young minds. The debate and forum was very well organized, with each candidate giving an opening speech, answering questions that were submitted by the audience, and then giving closing remarks. The moderator of the forum did a great job, even including a couple of "left" jokes about the candidates on the left of the podium (I was afraid my not laughing at these would give away my own political leanings, but everyone else was thankfully too busy to notice the lefty in the crowd). I'm not going to go into grand specific details about all the platforms and positions of the candidates. I will say that this is an impressive group on many levels, and I do have some observations about them. Of the entire group I would say that Gary Mar and Rick Orman are the most politically "polished". They speak like politicians, and carry themselves like one, too. This isn't a bad thing, of course, and it means you tend to pay attention when they speak (well, I did, anyhow). I was amused when Rick Orman took some shots at the other candidates, too, as I like a bit of feisty aggressiveness in my politicians (I've been told I am feisty so I guess perhaps it's a quality I admire). Gary Mar is very smooth in his delivery and oration, and has the kind of voice you could listen to for a very long time and not tire of. Rick Orman may not be quite as smooth but he's not far behind, either. The one thing that seemed a bit disingenuous about Rick Orman is when, during his closing remarks, he said he thinks about Fort McMurray every day when he wakes up, and how to make it better. This seemed an odd statement, especially since I live here, have done so for ten years, write about it daily, and yet even *I* don't wake up thinking about it every day. Maybe he really does, but it just seemed...well, a little bit false. Ted Morton is a bit of a quandary for me personally. He was the only one who was very specific in platform details most of the time, and I admire that. No wishy-washy comments, just straight-up "this is what I will do, and how, and when". The problem I had is that he's not a terribly inspiring speaker, and just doesn't seem as polished as the previous two I mentioned. Now, that's not necessarily a bad thing as sometimes "polish" can come off as "car salesman slick" so it's a fine line to walk, and maybe this is where Ted walks it. Doug Horner seems passionate about his run at this, but I must admit he didn't inspire me personally or make me want to buy into his vision. I don't know, he just comes across a bit bland, and I'm the sort of person who wants to be inspired. If you read my blog you know I'm into two things - vision and passion - and I adore people who can make me see their vision and feel their passion. Doug just didn't do it for me. Even after two hours he remains a bit of a puzzler for me. And so to the final two candidates, and, quite frankly, the ones who impressed me the most last night. I don't know if either has a real shot at the leadership as I admittedly do not know enough about the inner workings of the party to say - but these are two people I would love to see as premier, and if not now, some day. Alison Redford brings passion, vision, intelligence, and a different perspective. I happen to be one of those people who loves to see a stereotype turned on it's head, and the idea of a woman running a party and province long perceived as an "old boys club" thrills me. This isn't about gender, though, it's about ability and competence, and I think Alison has those qualities. She has worked with the Prime Minister's office, and she has worked internationally. This impresses me and makes me think she may well have what it takes to lead our province into a new phase of our development (and people, we are headed into a new phase, make no mistake). She also seems to get Fort McMurray, and told me that when she thinks about this community she "gets goosebumps" - and that won my heart as, quite honestly, so do I.
Doug Griffiths is the youngest candidate, and while he is young he is clearly passionate. I spoke with Doug last night after the forum and twice he apologized to me for monopolizing my time or boring me - but passion is NEVER boring and I was delighted to hear him express his vision so clearly. I also think that he gets Fort McMurray on a local level, and we talked about the enthusiasm in this community that is just waiting to be tapped into. He gets the importance of arts and culture on influencing our world, and he and I spoke about how residents of this city are starting to tell the story of our community through things like blogs and film-making. I really happen to like Doug, not just politically but as a person, too, and I think he has an incredibly bright political future. In his closing remarks he commented that people have told him he will be a great premier "some day", which I admit is what I was thinking(totally busted, sorry Doug!) but as he pointed out "some day" is now. And maybe he's right. Maybe what we need is someone young and fresh and new, like Doug Griffiths or Alison Redford. Even this left-leaning non-politically astute blogger can get behind that kind of premier. So, there you have my decidedly non-professional opinion of the Progressive Conservative leadership forum, and the candidates. Look, people, I don't think I'll be running out and buying a membership in the PC party in order to vote for the leader, but I do know that when the provincial election rolls around decisions will need to be made. So, for me it's about who will likely lead this province into the next several years, not just who will lead the PC party. I have just as much at stake in this as any card-carrying PC party member. I may not be one of those members, but I am an Albertan, and whether I am PC or not the premier is my representative, and I want one that I am proud of and trust. I may lean left in ideology, but once the premier is elected that falls away a bit and I entrust my home, my future, and my child's future to their guidance. This is irrespective of my political leanings, and that's why I attended the forum last night. It wasn't because I am a staunch PC member - it's because I am an Albertan, and one of these people will be my premier. I hope it's one that makes me, and all of us, proud.